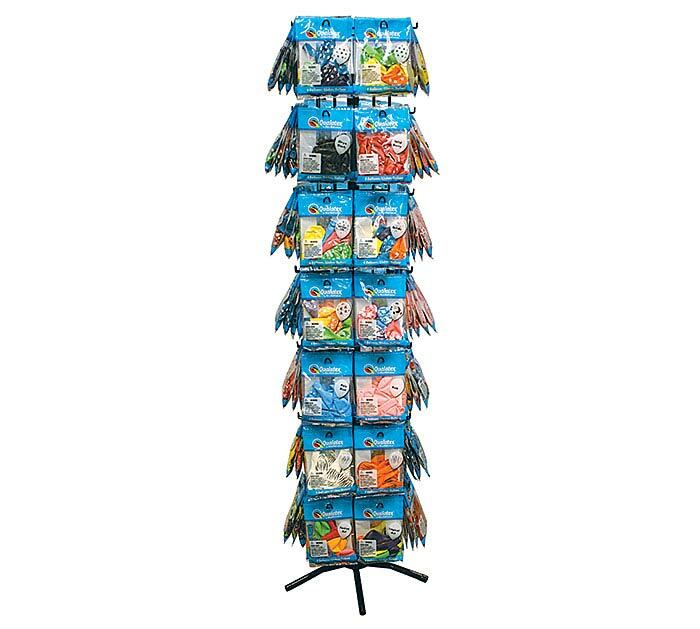 42 Hook Qualatex Spinner Rack. Each peg holds up to 6 retail packs of latex. Spinner Rack measures:57 1/4"H x 13"W x 11 1/4"D.
Header measures: 8 1/2"H x 10 3/4"W.